Turkish Airlines complaints number & email. Get verified information about Turkish Airlines complaints email & Phone number. Phone or write in the first instance. The complaints line is 1-800-874-8875. If you wish to correspond with Turkish Airlines online you should use the online form via their website. To complain to Turkish Airlines, contact their complaints line on 1-800-874-8875. They can also be contacted by mail and online contact form if required. Turkish Airlines also provide details of independent bodies to contact if you are unable to resolve your complaint direct with the company. Turkish Airlines is the national flag carrier airline of Turkey. It serves more destinations non-stop from a single airport than any other airline in Europe. Turkish Airlines flies to 120 countries, more than any other airline. Turkish Airlines was established on 20 May 1933 as State Airlines Administration as a department of the Ministry of National Defence. Hopefully, We helped you to get some genuine records for Turkish Airlines Complaint information. 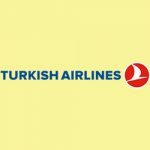 Use below complaint form to discuss problems you have had with Turkish Airlines, or how they have handled your complaints. Initial complaints should be directed to Turkish Airlines directly. You can find complaint contact details for Turkish Airlines above.